This is it. After having seen hundreds of houses, I – the director of the publishing company here – would purchase this very house. Well, what do I care, you might say. These are the reasons: Entering this modern house, one just feels good as this property invites to stay. The refinement, the quality, the clever layout and the generosity of the living-space, the high ceilings, the panoramic sliding-doors plus the charming views to your 6 meter pool and a juicy garden are convincing. While entering, you access an entrance room that keeps your washing-machine plus the stuff you want out of sight. You then step into a generous living- and dining-room offering plenty of space. 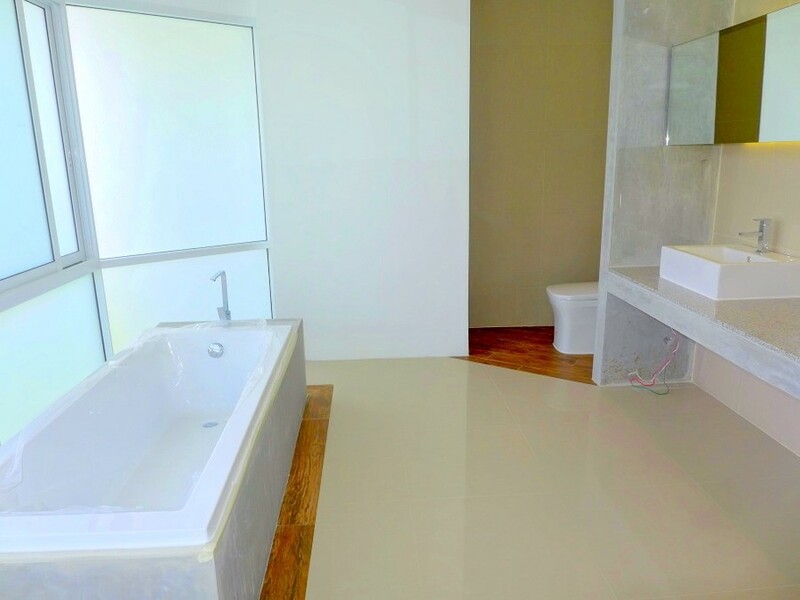 The two bedrooms are modern, both offering a chic bathroom (one with a tub and two sinks). 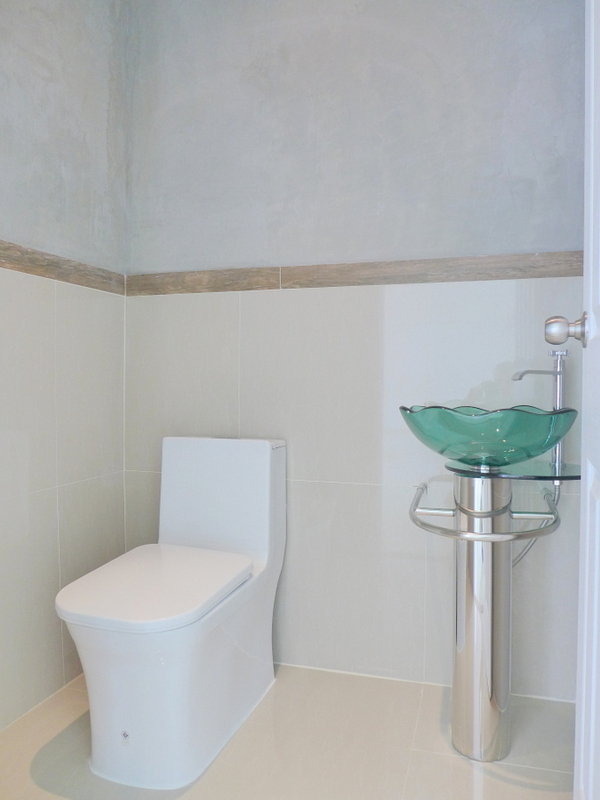 There is a guest-toilet as well. 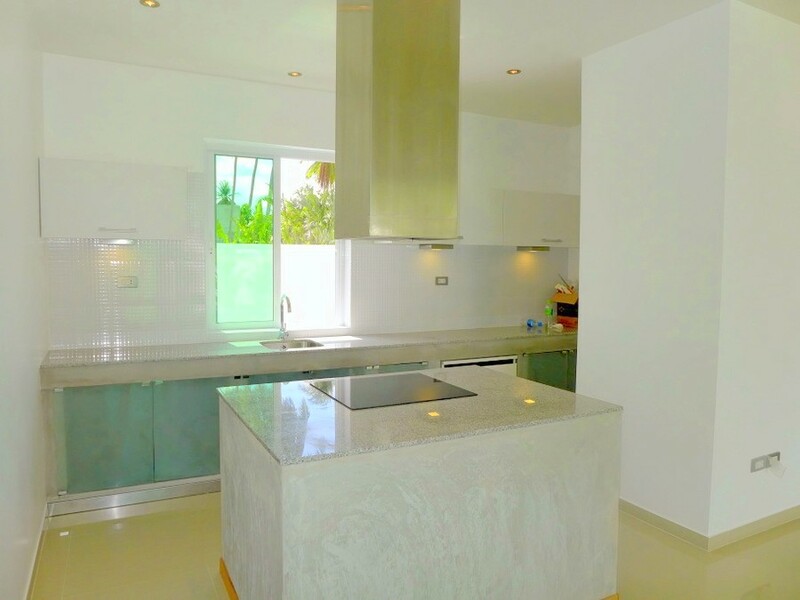 The kitchen is nice and a solid worktops, a cooking island with extraction hood, 4 plate ceramic or gaz cooktop, plus oven, cabinets and more are given. 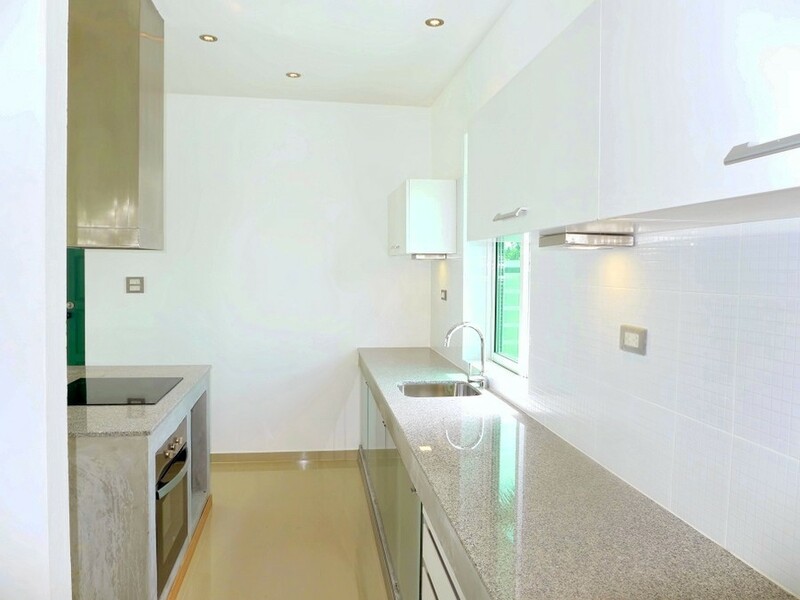 On the rational side: Double outside walls, fast ADSL Internet, TV- and Internet connections in all (major) rooms plus plenty of sockets, underground water tank, tap water filtration and city water connection. 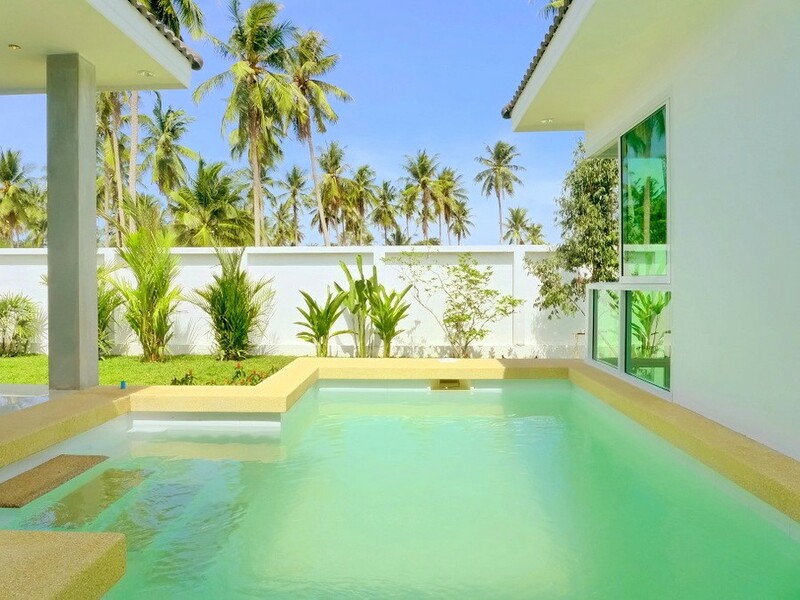 If this kind of lifestyle suits you, you`ll like this house and the price is hard to beat. PS1: 3 bedroom houses and other sized plots can be offered as well. 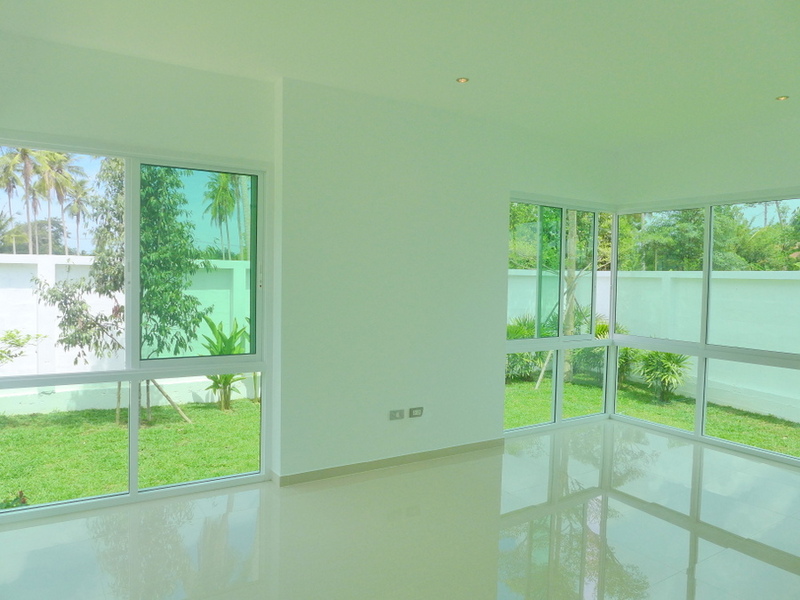 PS2: The mentioned 108 m2 is the real indoor living-area. EVEN CHEAPER! 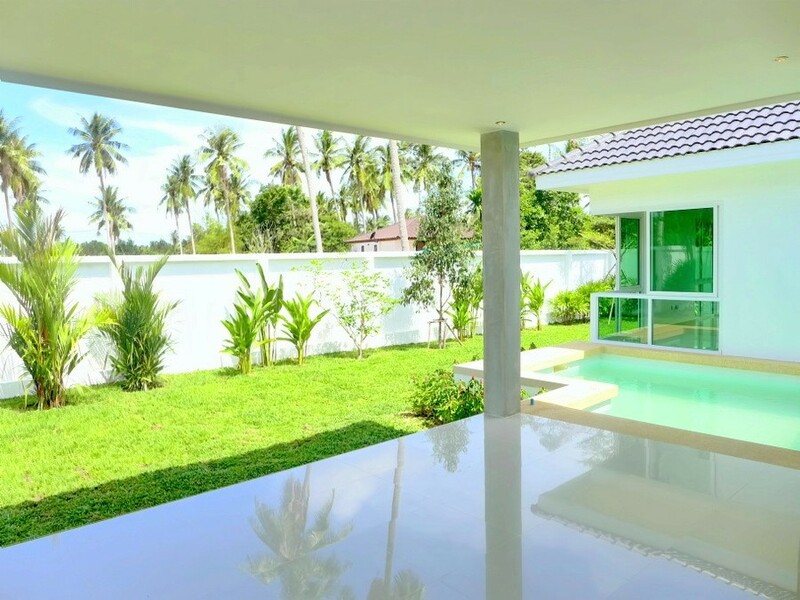 See the similar, slightly smaller pool-villa for only 2,75 Million Baht. 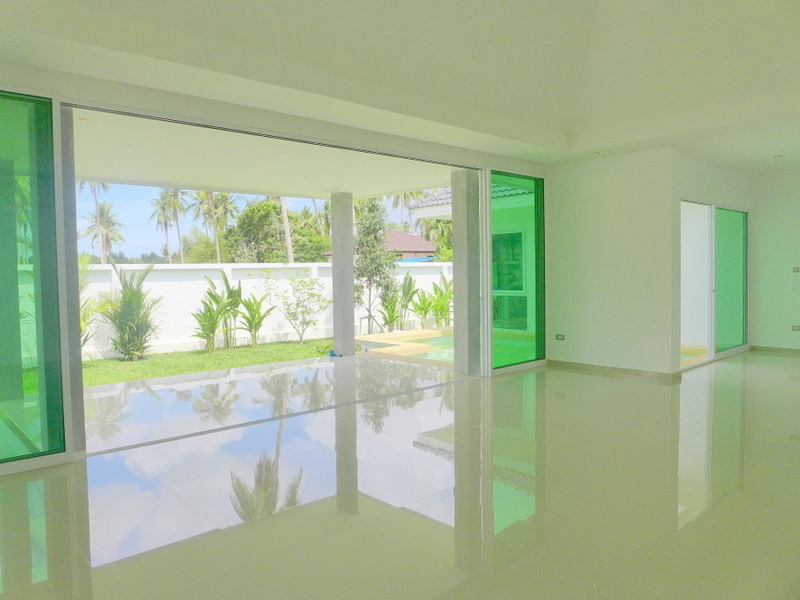 Located in an idyllic tropical palm forest in Huai Yai, near Pattaya yet access on concrete roads to your doorsteps. 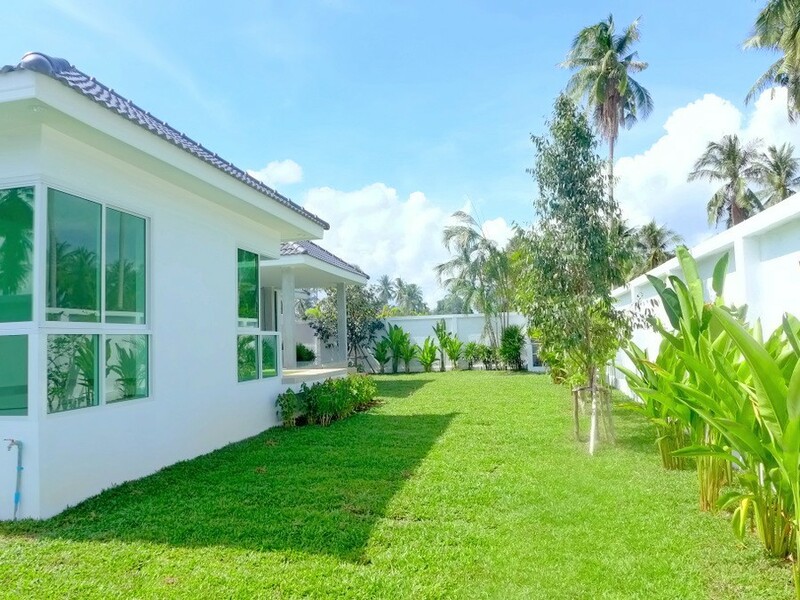 Serene countryside living for nature lovers that don`t want to be too far away from their preferred city. 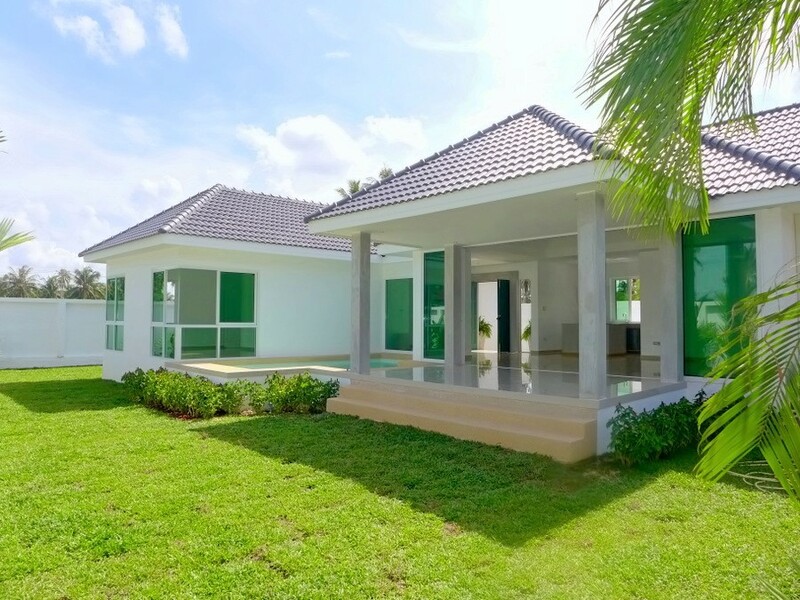 In less than 5 minutes, you reach the newly built highway 7 extension bringing you to all desired directions and to the northern parts of Pattaya (i.E. Bangkok Pattaya Hospital in 20 minutes), Bangkok airport or Rayong. 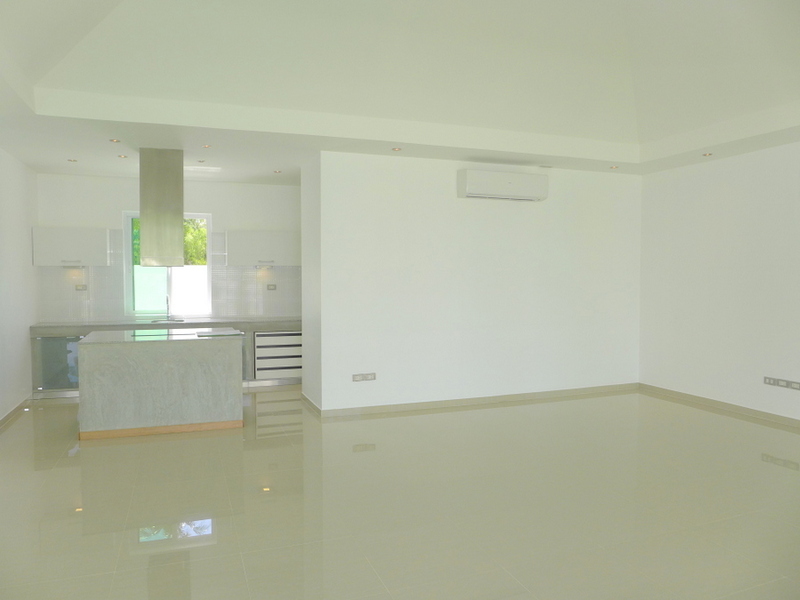 In 15 minutes, you reach Sukhumvit road and the large shopping-centers. 7 Eleven, fresh markets and plenty of nice Thai and Western-food restaurants are within a five minutes ride. A wonderful place for jogging or bicycle tours and to enjoy fresh air. 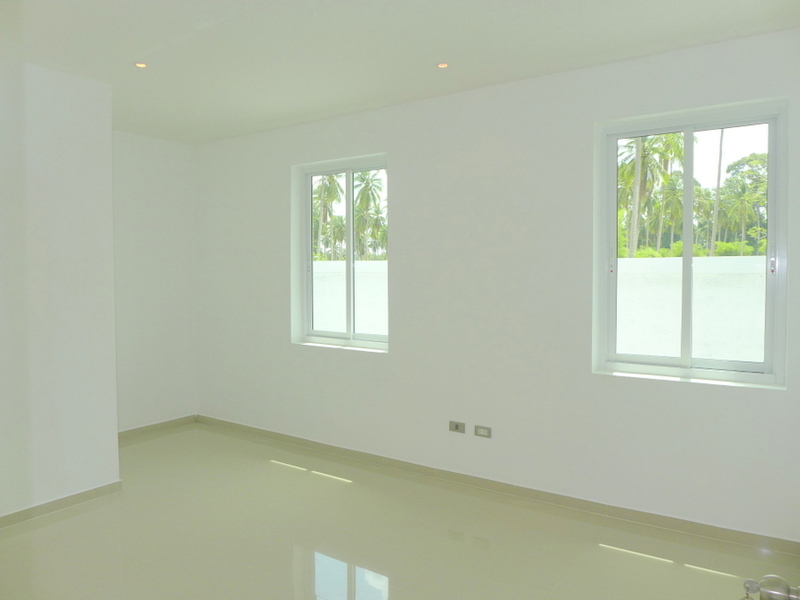 Different house types and plots, according to your requirements, are available at surprisingly low costs. Just inquire. The houses are ready to move in in 6 to 8 month. You decide on the materials and finishing. Safe terms as the plot will be transferred to you right after the first major payment. PLEASE NOTICE: The house and garden pictured is a sample house that is larger than the house advertised here.